Within the next few months, Cape Town (South Africa) is said to be the first major city to run out of water. Four million residents of this city will have to queue at distribution points and rely upon grey water to flush toilets. Diseases—such as dysentery and viral hepatitis–and dehydration will threaten the city’s residents. The day the taps run dry is now known as Day Zero. The date was set for April 12. Because of conservation efforts, the date has been moved to July 9. This postponement is not indefinite. Day Zero will come. Cracking earth in Cape Town, South Africa. Shaiful Chowdhury/Drik. Water is a class issue. Its distribution has never been equitable. What the residents of Cape Town will struggle with is what more than one billion residents of informal settlements across the planet deal with each day. They too have little access to piped water and no sanitation system. They have to fetch water from a far and have to rely upon open fields to relieve themselves. What has already afflicted the very poorest on the planet has now become a grave peril as it inflicts itself upon a major city. Of all the water on the planet, only 2.5% is fresh water and so is drinkable without extensive treatment (the rest is salt water). This freshwater is distributed unevenly, so that some areas seem particularly prone to drought while others have sufficient access to potable water. Between 61% and 89% of the world’s people live in water scarce areas (Nature, 2016). About 1.1 billion people live in parts of the world that face both high water shortage and high water usage (or water stress, as it is called by hydrologists). A survey from 2014 found that 25% of the 500 cities studied suffer from over use of water resources. This percentage does not look high, but it masks the fact that very large cities are the ones that are in danger of water depletion. These cities include Beijing, Delhi, Karachi, Kolkata, Los Angeles, Mexico City, Moscow, Rio de Janeiro, Shanghai and Tokyo (“Water on an urban planet: Urbanization and the reach of urban water infrastructure,” Global Environmental Change 27, 96-105 ). People fill water vessels at a well in India. Photo: Munir Uz Zaman/Drik. Scientists recognize that there are a variety of reasons for the shortage of water. These include interference of industrial society on weather patterns, water demand outpacing supply, asymmetrical per capita consumption rates along with underfunded, inefficient and unethical water distribution systems. Each of these reasons contributes to the problem of a shortage of water. The Intergovernmental Panelon Climate Change’s Technical Paper VI (IPCC, June 2008) is on climate change and water. The scientific consensus in this document is that the changes in weather patterns—induced by carbon-intensive capitalism have a negative effect on the water cycle. Areas where there will be higher rainfall might not see more groundwater due to the velocity of the rain, which will create a rapid movement of water to the oceans. Such high velocity rainfall neither refills aquifers (natural water sources) nor does it allow water to be stored by humans. 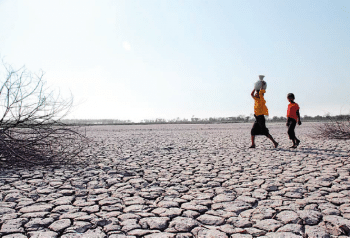 The scientists also predict higher rates of drought in regions such as the Mediterranean and Southern Africa. 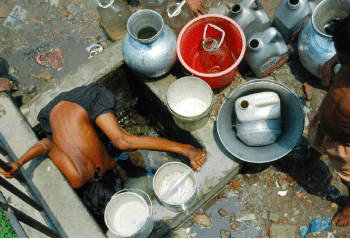 It is this technical report that put forward the number that over a billion people will suffer from water scarcity. For the past decade, the United Nations Environmental Programme has warned about the growth of water-intensive life styles and of water pollution (UNEP, 2010). Both of these life styles and pollution—are consequences of the spread of capitalist social relations and capitalist productive mechanisms across the planet. In terms of lifestyle use, the average resident in the United States consumes between 300 and 600 litres of water per day. This is a misleading figure. It does not mean that individuals consume such high amounts of water. Much of this water is used by water-intensive agriculture and by water- intensive industrial production, including energy production. The World Health Organization (WHO) recommends per person usage of 20 litres of water per day for basic hygiene and food preparation. The gap between the two is not accidental. It is about a water-intensive lifestyle—use of washing machines and dishwashers, washing of cars and watering of gardens, as well as the use of water by factories and factory farms. Water pollution is a serious problem. In Esquel, Argentina, the people saw that the contaminants from corporate gold mining were ruining their drinking water. ‘Water is worth more than gold’ (Elaguavalemásqueeloro), they said. Ruthless techniques of extraction by mining corporations (by use of cyanide) and of cultivation by agro-business (by use of fertilizersand pesticides) have ruined reservoirs of clean water. Their blue gold, say the people of Esquel, is more important than real gold. They held a public assembly in 2003 that asserted their right to their water against the interests of the private corporations. It is worth pointing out that the amount of water it would take to support 4.7 billion people at the WHO daily minimum would be 9.5 billion litres—the exact amount used each day to water the world’s golf courses. The water used by 60,000 villages in Thailand, for instance, is used to water one golf course in Thailand. These are the priorities of our current system. Heavily used well in São Paulo, Brazil. Photo: Shafiq Alam/Drik. Cape Town has been in the news for Day Zero. But not far behind is São Paulo (Brazil). 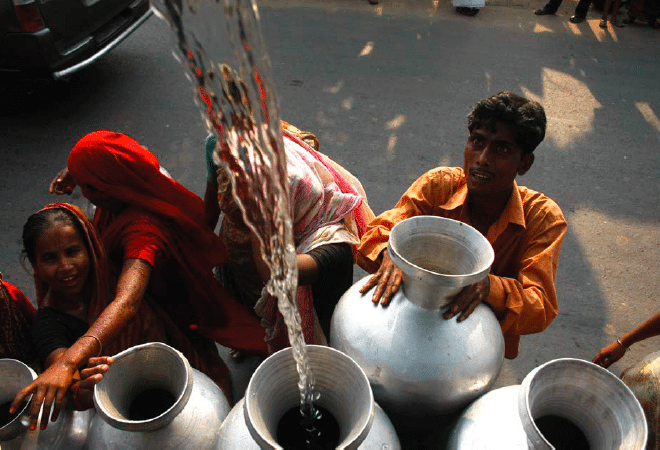 This city of fourteen million people already suffered a near Day Zero in 2014. Brazil suffered a serious drought from 2013 to 2015. The city of São Paulo was the epicentre. Rainfall in the city and the state dropped precipitously. Water was rationed, with armed guards at distribution points to prevent violence. The city’s mayor, Geraldo Alckmin from the right-wing Brazilian Social Democracy Party (PSDB), blamed changes in the global climate for the problem. It was all about low rainfall, he said. Gilberto Cervinski is the national coordinator of Brazil’s Movement of People Affected by Dams (MAB, or Movimento dos Atingidospor Barragensin Portuguese). He told Tricontinental that the problem was exacerbated by the privatisation of São Paulo’s State Water and Sanitation Company (Sabesp). Cervinski argues that the privatisation severely undermined the provision of quality water to the residents of the city. ‘As a result of privatisation,’ Cervinski told us, ‘Sabesp became fundamentally motivated to increase the revenue for its shareholders rather than to deliver quality water to the public.’ Drought certainly contributed to the problem, he says, but the privatisation of the state utility company is at the heart of the crisis. The privatisation of Sabesp provided a model for water use that created incentives for unethical water distribution. What the newly privatised Sabesp did was to invest in the provision of water to higher income parts of the city. It, therefore, neglected the working-class and working-poor parts of São Paulo, where people are not able to spend more money on their utility costs. The profit motive created an infrastructure that left the working-class and working-poor in a vulnerable situation. Cervinski says that it was these populations that suffered the most when the water began to runout. In March 2018, five thousand scientists and representatives of social and political movements will gather in Brasilia for the Alternative World Water Forum (FAMA, or Fórum Alternativo Mundial da Água in Portuguese). This meeting will be held concurrently with—and in opposition to—the World Water Forum, the gathering point of the transnational corporations that seek to privatise water sources. FAMA will be held to bring together those who have been affected by water shortages and by the privatisation of water. Public policies to manage water should be inclusive, Cervinski notes. Popular participation is essential in this debate and policy dialogue. In the conversation about potable water and its fate, it is the people who are most severely impacted who are shut out of the room. On the other side of the locked doors are the key decision makers; those who will be able to afford the new fees on water, should they arrive at that conclusion. Water containers waiting to be filled. Photo: Moin Uddin/Drik. Half of Cape Town’s four million residents live in the Khayelitsha township,where water comes fitfully through municipal taps. Half of the homes in the town ship have no water connection. The residents rely upon municipal taps from where they are able to access clean water. These taps are often in terrible condition and they—even before the drought—only dispensed water for very short periods of time. Sometimes these taps were dry for days. Now, the taps have begun to see their flow restricted even more. Clearly, lack of rainfall has been a serious problem for Cape Town and the surrounding region. But so too has been poor stewardship of the water, with large amounts of subsidised water provided for the large farms near the city and with. damaged infrastructure leaking water from the pipes and from the Camissa springs. Private companies (including Coca Cola) that bottle water continue to drain the limited water that supplies the city. Conflict between the African National Congress- led government at the federal level and the Democratic Alliance-led government at the provincial level does not help provide solutions to the problem for Cape Town. People line up for water in Cape Town, South Africa. Photo: Murtada H. Bulbul/Drik. What is most alarming about this city without water is that there are already statements being made that the solution to the crisis is to privatise water delivery. 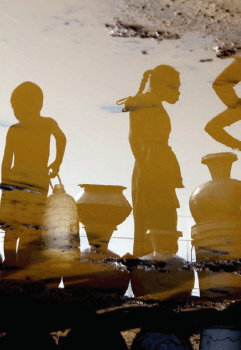 Failure to address the public delivery of water allows the corporations and corporate-friendly governments to suggest that it might be better to allow the private sector to deliver water. It is not established at all that public delivery of water is the cause of the crisis, but none the less it is this public system that is being blamed for the dry taps. Privatisation has, in fact, already begun. The expensive desalination plants that are on the anvil have gone to large private corporations (Water Solutions South Africa and Proxa South Africa), who stand to make considerable profits from the production of drinking water. But privatisation of water opens up serious problems. If a city gives up its water delivery to private firms, experience shows that these firms restrict information on their activities, they reject calls for public accountability, they provide better services to higher income neighbourhoods and they typically charge high fees for water delivery. Maude Barlow and Tony Clarke established all this in their important book from 2005, Blue Gold: The Fight to Stop the Corporate Theft of the World’s Water. If Cape Town has a problem now, it will have an even more severe problem if its entire water delivery system is handed over to the private sector. Solutions are needed. But these will be needed through democratic channels. 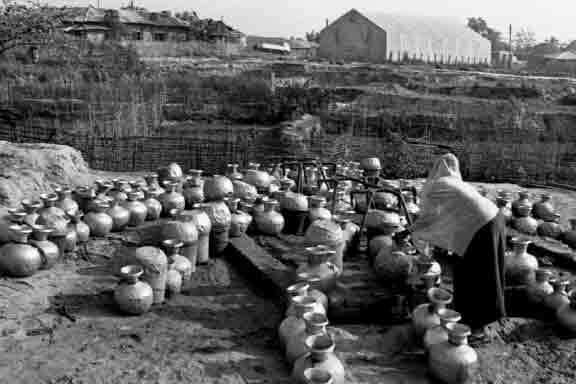 Public water distribution in Shimla, a small town in the Himalayan foothills in India. Photo: Amdadul Huq/Drik. Shimla is a small town in the Himalayan foothills in India. Its population is under 200,000. In the summer over four million tourists come to this city. The water and sewage infrastructure is as old as the city. It has never really been upgraded. The municipality gradually lost control over water delivery to sub-contractors who provided the local government with water. The situation was in such chaos that the World Bank and others came in to propose that the water supply be privatised. In 2012, the voters of Shimla voted in MayorSanjay Chauhan and Deputy Mayor Tikender Panwar, both members of the Communist Party of India (Marxist). Chauhan and Panwar, both well-regarded leaders in the city, took a proletarian approach to the water crisis. Tricontinental spoke to Panwar, who described the process and laid out three crucial principles for the socialism of water. Having established the GSWSSC, Chauhan and Panwar followed three broad principles for the socialism of water. Re-municipalisation of the Water Utility. Water, Panwar points out, is often provided to Indian cities and towns by a parastatal company that could easily be privatised. The municipality, Panwar told Tricontinental, ‘has to be strengthened.’ It must take control of the water utility. If the municipality takes charge of water delivery then it can be held accountable to the citizens. As it stands, neither the municipality nor the parastatal firm take responsibility for water provision. While they are pointing at each other, the citizen is left without an understanding of whose role it is to deliver water. Equitable Access to Water. Most cities only provide water to houses and buildings. 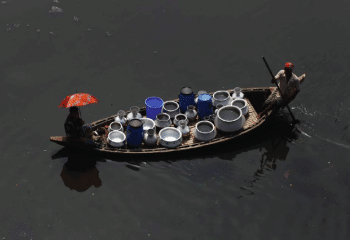 Informal settlements are not provided with a regular supply of water. 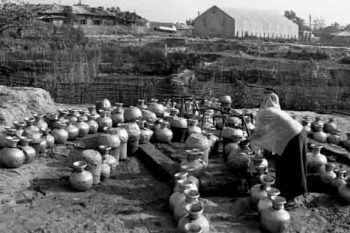 This, Panwar said, ‘must be revisited.’ If water is not provided, the informal settlements have to steal water from water lines. This is simply not a good solution when large sections of a city live in informal settlements. In most cities, water charges are levied based on an average usage of water. This discriminates against the working- poor who use less water than the very rich, the businesses and the hotels. The average bill for a hotel and a household is often the same despite the fact that the water usage is so different. It is better, Panwar argued, to meter water usage and provide a minimum threshold below which the citizen does not need to pay for water. The Delhi Jal Board, for instance, provides free water consumption under 20 kilo litres. A municipality should provide meters to everyone with any kind of habitation and provide free water for those who use less than 20 kilo litres per head. The issue of meters is a controversial one in other settings. In Brazil and in South Africa, for instance, meters have been used to restrict water delivery and to cut off water to the working-class in urban areas. But Panwar does not promote meters as panacea. The point is to create a policy for equitable access to water that works in each context. Establish a Protocol for Safe Water. Most municipalities are obliged to provide potable water to their residents. That is, the residents must be able to drink the water out of the tap. This is simply not possible in most cities and towns. Municipalities must invest money to provide clean water. Such investments are necessary. The people must have a mechanism to hold their government responsible. Water testing must be transparent. Where did the revenue come from to make this happen? Panwar says that when the Left-led government ensured that hotels pay their fair share, the municipality was able to augment the water bill collection by more than 400 percent. Furthermore, because of rusted water infrastructure, fifty per cent of the water leaks out of the pipes before it is delivered. This is called Non-Revenue Water. Investment in the water infrastructure will prevent this waste, allowing the municipality’s revenues to be spent for priority matters, such as delivery of water to the population. A socialist city would see this as a far more important priority than the use of precious urban funds as tax giveaways to large corporations. In 2009, the World Health Organization warned that by 2025, two-thirds of the world’s population would be subject to water shortages. This is a dire figure. It would be an error to see this as a reflection only of climate change and population increase. The problem is—equally—a class issue. The question of water as a commodity for private gain by water corporations and of water as a commodity to be sold to the highest bidder (or to industrial and agricultural corporations at subsidized prices) needs to be taken very seriously. People like Panwar and Cervinski see water as part of the commons rather than as a commodity. On October 31, 2004, the people of Uruguay by a two-thirds majority declared that all people have a right to water. The National Commission for the Defence of Water and Life—which comprised civil society organisations, left groups and the trade union that represents employees of the state-owned water and sewage company (Obras Sanitarias del Estado)—pushed this referendum forward. It declared that ‘water is a natural resource essential to life’ and that access to potable water and sanitation services are ‘fundamental human rights.’ Most importantly, the law noted, ‘The public service of sewerage and the public service of water supplying for human consumption will be done by legal entities of the state.’ In other words, water delivery cannot be privatised. Water delivered by boat. 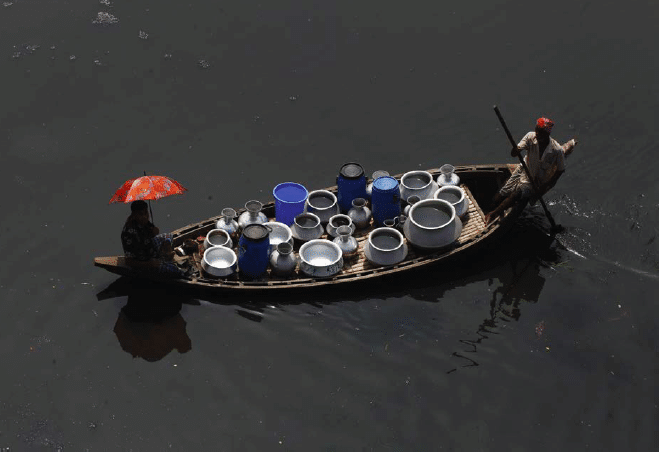 Photo: Zakir Hossain Chowdhury/Drik. In 2010, thanks to the initiative of the Bolivian government, the UN General Assembly recognised the ‘right to safe and clean drinking water and sanitation as a human right that is essential for the full enjoyment of life and all human rights.’ Countries with a combined population of 5.4 billion people voted for this resolution, while countries—such as Canada, Israel, Japan, Turkey, Ukraine, the United Kingdom and the United States—that represented 1.1 billion people abstained. Nobody voted against the resolution. The resolution went to the UN Human Rights Council, which adopted a parallel resolution that saw water as a human right. 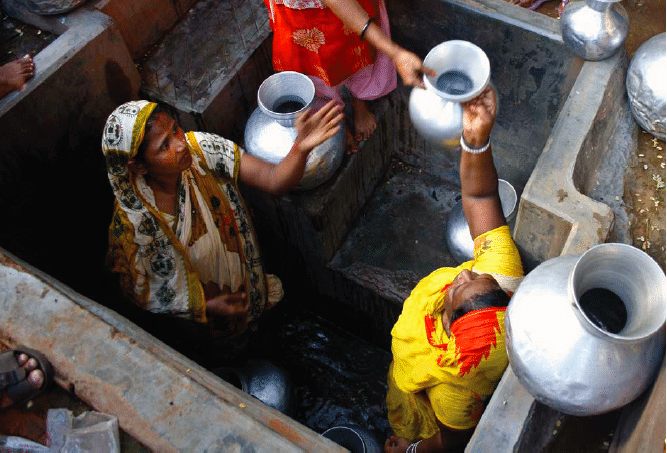 Governments are now under obligation to ensure that every person has access to water and to sanitation. But this obligation is not going to be provided without a struggle.